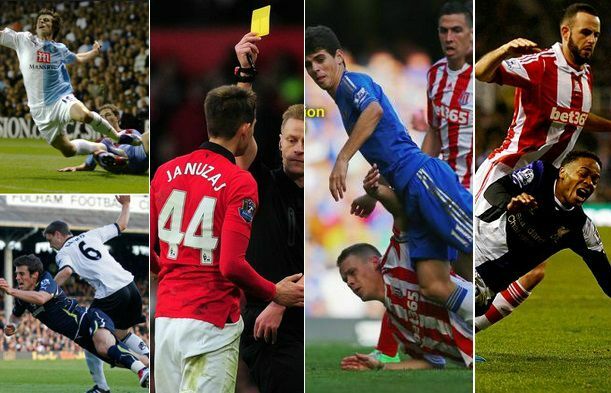 There is a recent talk that diving (Simulation) has been on the decline as the statistics show this season in premier league and we bring you the list which club has got most yellow cards in 2015-16 season for diving and which club & player has been serial divers in last 6 seasons. Following statistics are official figures from premierleague official database partner Opta sports. But the thing to remember here is that the numbers below only show the half picture as most of the times divers gets away without yellow cards. So Statisticly speaking former Southampton and Tottenham player Gareth Bale leads the way for more diving yellow cards with 7 to his name which is more than double than the next two culprits in Januzaj and Fernando Torres who both have recived three yellow cards for Simulation.